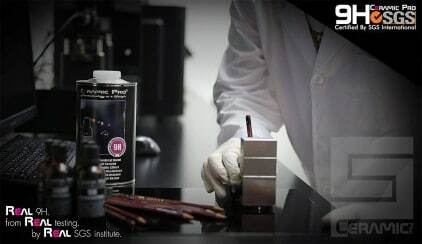 We have tested many of these products first hand, such as other Coatings, Titanium Dioxide, PTFE, Acrylic, Glassplexin and Polymer Sealants, nearly all of which do not protect you paint from what they claim and they will not withstand continuous washing and will wear away over time as they do not form a permanent bond to the paint work and generally have a durability of 12-24 months, regardless of if they come with a “Lifetime Warranty”. Why is Ceramic Pro different? At Superior Shine our reputation relies on us providing an honest service and products that are of the highest standard in quality to uphold our strong reputation which is why we use and trust Ceramic Pro to protect some of the most expensive and exotic Supercars not only in Australia, but the World. Ceramic Pro is permanent and does exactly what it says at protecting your paint work from damaging contaminants, backed up by a network of approved applicators that have a vested interest in using the best protection on the market, Ceramic Pro. Ceramic Pro are a range of Nano-Ceramic car protection coatings formulated for all automotive surfaces. Ceramic Pro Paint Protection is a clear coating that chemically forms a permanent bond to the factory paint work unlike other car paint protection products that do not form a permanent bond or harden to create a chemical resistant barrier between your paint work and damaging contaminants. Ceramic Pro have a range of protection coatings for Paint, Glass, Alloy, Fabric and Leather surfaces.